Held at Hoftra University June 1-4, the 17th Berkshire Conference on the History of Women, Genders, and Sexualities contained a number of panels of interest to food studies scholars. As those who study food are well-acquainted, food and food writing offer a richly rewarding lens for studying the past. Therefore, it is unsurprising that the conference theme, “Difficult Conversations: Thinking and Talking About Women, Genders, and Sexualities Inside and Outside the Academy,” generated several papers and on entire panel devoted to exploring the connections between food and gender. “Native New Yorker,” Pura Cruz 2006. My own research interests naturally gravitated me toward a handful of food-related panels at this year’s Big Berks, but this is by no means an exhaustive review. The full conference program can be accessed here. 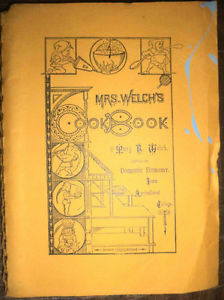 Mrs. Welch’s Cookbook (Des Moines: 1884). Jaycie Vos’s paper provided a close-reading of Mrs. Welch’s Cookbook (Des Moines: 1884). Written by the head of the Domestic Economy Department at Iowa Agricultural College (later Iowa State University), Mary B. Welch, the cookbook was a compilation of recipes used for instruction in the department. Vos argues the cookbook and Welch’s career presented food preparation as a source of empowerment for women. In her examination of the career of Ellen Richards, the pioneering founder of the Home Economics movement and the first female student and instructor at Massachusetts Institute of Technology, Sutherland contrasted the development of scientific housekeeping with earlier moral domesticity. Her concentration on Richards allowed Sutherland to explore ideas of individuality and the overlap of public and private in the Home Economics movement. Friday morning’s “Repast and Present: Food History Inside and Outside the Academy” organized by the Recipe Project’s own Amanda Herbert not only explored food as an engagement tool in the study of the past, it was also the opening event for a virtual conference exploring the question, “What is a recipe?” A video of the panel is available on the Recipe Project’s Facebook page, therefore, I will provide brief notes on each speaker. Moniz discussed her development of historical cooking classes and the accessibility of food history. Through a focus on Progressive-era domestic science education opportunities for African-American women, Taylor argued that cooking class was actually cooking class (i.e. : status). 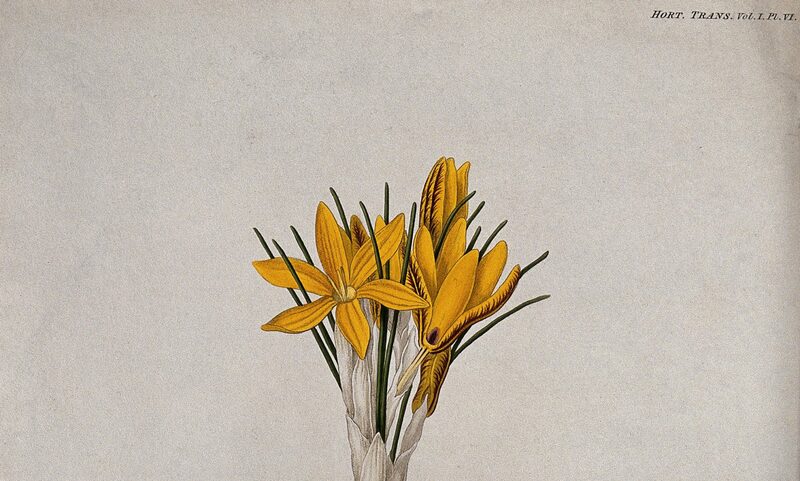 Anishanslin shared her techniques for bringing food into the classroom, describing this effort as a more uplifting aspect of Atlantic history (creation rather than destruction). Those who teach the early American history survey or Atlantic history courses will be interested in her assignment to select and study a recipe that would not exist without the Columbian Exchange. Johnson discussed food-related initiatives at the National Museum of American History including exhibits and live cooking demonstrations that combine food and history. Mark your calendars for this year’s Smithsonian Food History Weekend, October 26-28. Nicosia’s joint-project with Alyssa Connell transcribes, contextualizes, and updates early modern recipes for modern kitchens while sharing them on a blog titled, Cooking in the Archives. Nicosia discussed the insights that stemmed from this work and the importance of actually preparing recipes as part of the research process. My review of food history at the Big Berks concludes with a panel exploring the politics of women’s businesses that included four fascinating and innovative presentations, but it was Maria McGrath’s history of Bloodroot Restaurant that connects with the subject of this post. In this paper, McGrath examined the founding of Bloodroot Restaurant in Bridgeport, CT, a feminist and collective restaurant and bookstore, in 1977. She explored the role of food in the pursuit of feminist and counter-cultural ideologies. As a first-time Big Berks attendee, I was blown away by the quality and variety of presentations and the uniquely supportive atmosphere. I’m looking forward to more food history at the 2020 meeting! Note: In the interest of self-promotion, I would be remiss to not mention I also presented, during the Digital Humanities Spotlight, on mapping cookbooks to reveal women’s networks. An early version of that work is available here.